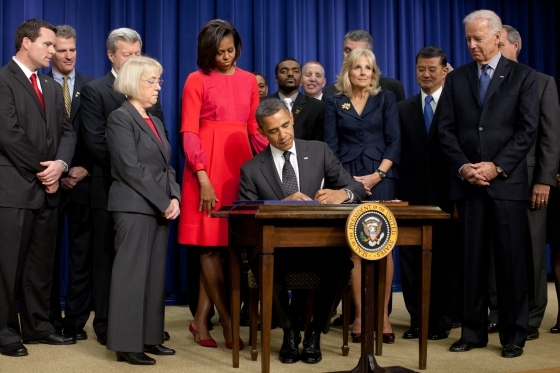 In an effort to reduce Veteran unemployment, the President signed into law the VOW to Hire Heroes Act of 2011 last November. Included in this new law are the Work Opportunity Tax Credit (WOTC), Special Employer Incentive (SEI), and Veteran Retraining Assistance Program (VRAP). The WOTC is a Federal tax credit available to private-sector businesses and certain non-profit organizations for hiring certain individuals, including veterans, who have consistently faced significant barriers to employment. The WOTC program enables the targeted employees to gradually move from economic dependency into self-sufficiency as they earn a steady income, while participating employers are able to reduce their federal income tax liability. The SEI program is for eligible Veterans that face extraordinary obstacles to obtaining employment. Veterans are hired by participating employers at the onset of the SEI program and employment is expected to continue following successful completion of the SEI program. The SEI program can entitle an employer for up to 50% of the Veteran’s Salary during the program. Additionally employers will have VA support during the training and placement follow-up phase to assist with work or training related needs. As a result, the SEI program is beneficial for both employers and Veterans. In addition to the SEI and WOTC programs, unemployed Veterans between the ages of 35 and 60 may qualify for the VRAP. This program will provide 99,000 eligible Veterans with up to one year of additional Montgomery GI Bill benefits in order to help them earn training and certifications in high-demand jobs. In order to receive these benefits, Veterans must attend a VA approved program of education offered by a community college or technical school. The program must lead to an Associate Degree, Non-College Degree, or a Certification, and train for a high demand occupation. Veterans can begin applying May 15, 2012. Additional information on the VOW to Hire Heroes Act is available at www.benefits.va.gov/VOW or by contacting your local Veterans Benefits Administration Regional Office or your local or state Department of Labor (DOL) employment office.